Computer Connects is one of Net Literacy’s six core programs, and during the last three years alone, over 11,000 computers have been donated to schools, churches, libraries, senior centers, community centers, and other nonprofits. In 2010, over 500 computers have also been donated to 95 United Way agencies in 18 counties as part of a partnership with the Indiana Association of United Ways and Net Literacy. Today, 33 schools ordered 3,300 computers for the 2010-2011 school year, which will enable Net Literacy’s student chapters to continue to provide computers to schools and nonprofits. 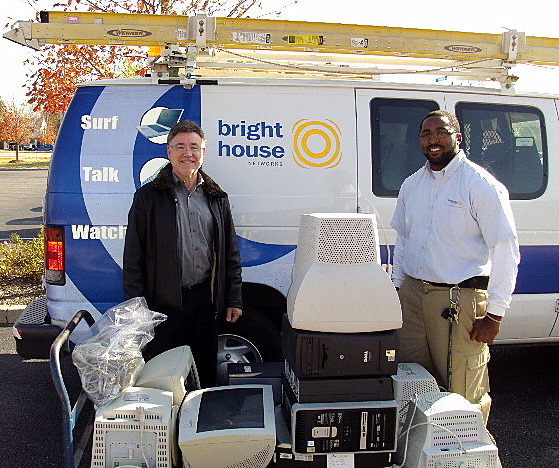 Last month, Bright House Networks donated their 5,000th computer to schools under the Net Literacy program since they began supporting this program in 2003. The Techpoint Foundation donated $4,000 (out of $12,000 grant) to enable Net Literacy to provide computers for computer labs in youth-related organizations throughout the State. The Techpoint Foundation has supported Net Literacy since 2004. The Department of Education is considering providing funding to enable Net Literacy to expand this program to additional schools around the State. Lt. Governor Becky Skillman (a Net Literacy Honorary Board Member) has asked Net Literacy’s student volunteers to provide additional technology to Indiana’s rural counties, and Net Literacy’s student volunteers are working to increase access and honor her request.